Huawei Enjoy 8e has been launched by the company as another affordable midrange smartphone. 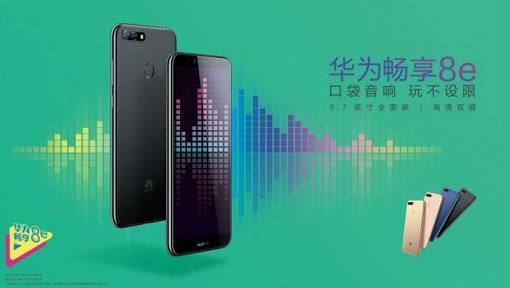 It’s definitely Huawei season alright, as the company has announced more than 10 smartphones this week already. The Enjoy 8e is the much affordable version of the Enjoy 8 smartphone that was released earlier on. The new device has 32GB internal storage, 3GB RAM and dual rear camera. Care to know more? Stay with me. What is Huawei Enjoy 8e Price and Availability Status? Flows with the way Huawei design their midrange devices, sporting a mix Aluminum + Plastic body that’s non-removable. A simple design that will definitely turn heads in a gathering, thanks to the Huawei logo at the bottom corner. The dual rear camera is in it’s usual position with a dual-LED flash beside it, all in a horizontal position. There’s also a fingerprint scanner as usual, while the smartphone measures 7.8mm in thickness and weighs 150g overall. In terms of colors, it’s available in Gold, Blue, Black and Pink colors. Turning over to the screen, it dishes out the usual 18:9 aspect ratio and offering a Full View display. The bottom bezel houses the Huawei logo as usual, while the top houses the selfie camera, speaker grille and ambient light sensor. Moving further, the 5.7-inch HD+ IPS LCD capacitive touchscreen has a resolution of 1440 x 720 pixels. Every little details on the screen should come out great with 282.3 pixel per inch density. The screen stretches up to 75.6% screen to body ratio, offering more screen than bezels. Running the race is the Qualcomm Snapdragon 430 chip with Octa-core processor and 64-bit CPU architecture. The 8-cores of processor reaches a speed of 1.4GHz with a 28nm process technology as well. While the Qualcomm Adreno 505 graphics processor handles graphics efficiently. Packs a standard 3GB of RAM as usual for fast and smooth multitasking. The RAM space has a memory speed of 800 MHz, with 32GB internal storage space. The storage space is upgradeable up to 128GB using a memory card. 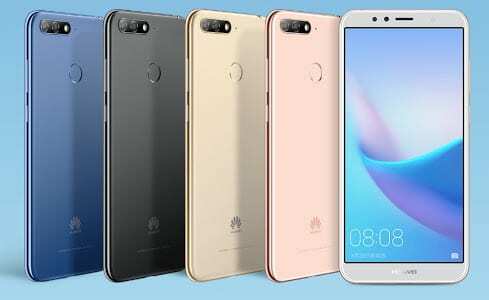 The Huawei Enjoy 8e runs on Android 8.0 Oreo with Emotion UI 8.0 skin. The 13MP + 2MP rear shooters has f/2.2 aperture capturing photographs with a dimension 4163 x 3122 pixels. The cameras come with lots of quality features, a dual-LED flash and records FHD videos of 1080 pixels at 30 frames per second. For selfies, there’s a 5MP selfie shooter at the top bezel that should do the trick. Powering the Huawei Enjoy 8e is a 3000mAh non-removable Li-Ion battery with fast charging technology. With the fast charging feature, it shouldn’t take more than 1.6 hours to fully charge up the battery from 0% to 100%. The Huawei Enjoy 8e is available on Shopping stores starting from $149 (N40,000) to $199 (N60,000). Click on the links above to view the latest Huawei Enjoy 8e price & availability. Huawei’s design are perfect as usual. But seeing the current market, huawei should up their game. Beside’s design and camera, huawei should also equip the device better chipset something equivalent to snapdragon 636 not kirin 659 again. Huawei! I felt very happy seeing this 2 SIMs PLUS a slot for an SD card.